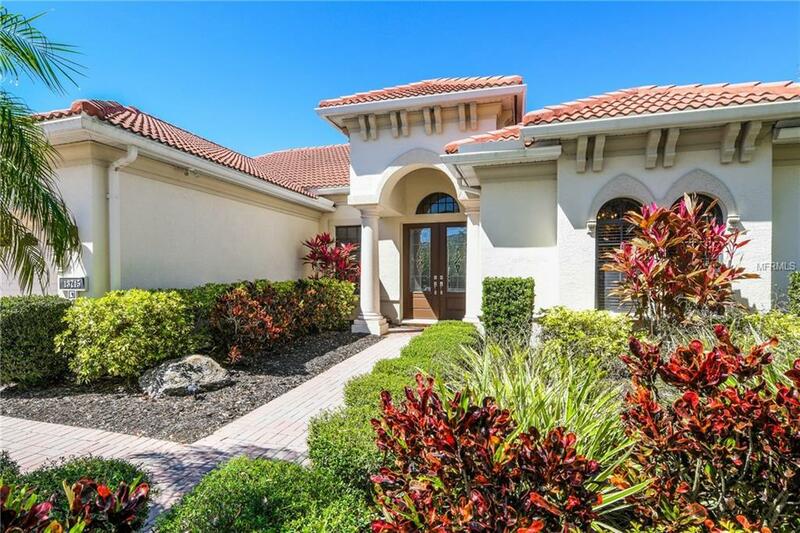 Enjoy the fabulous lifestyle that Lakewood Ranch Country Club is known for! Welcome to this stately home that is perfectly positioned with water views and privacy. Relaxation will come easy in the open floor plan with multiple gathering areas for family and friends. Enjoy the second floor retreat with wet bar and lanai with lake views. This split floor plan offers three bedrooms plus a generous size study with sliders to the expansive outdoor space! The master suite will not disappoint with his and hers closets, dual sinks, large soaking tub and walk in shower! The well appointed kitchen features granite counters, gorgeous cabinetry and bar seating! The eat in kitchen features aquarium window overlooking the pool and spa! The disappearing sliders corner to offer more outdoor living space and easy access to the outdoor kitchen, pool, and spa. Three car garage, study large enough to be a fourth bedroom and outstanding curb appeal make this home a must see! Make your appointment for a private tour today. You won't be disappointed! 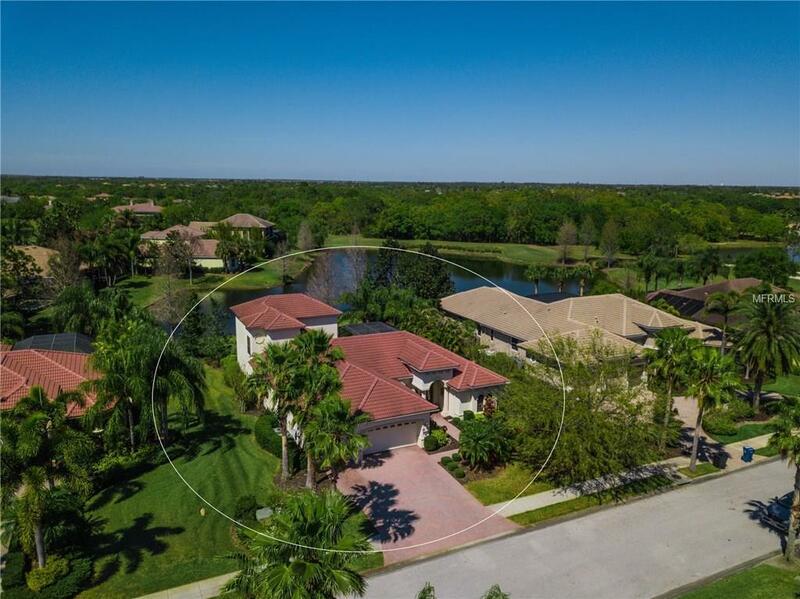 Listing provided courtesy of Sarasota Trust Realty Company.